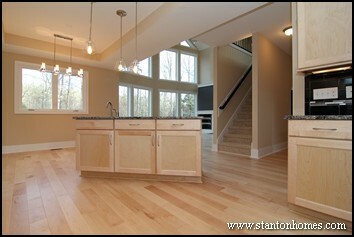 The term "open concept floor plan" can refer to many different architectural design features. In this article, we've put together a few tips on how to maximize the openness of your new home. 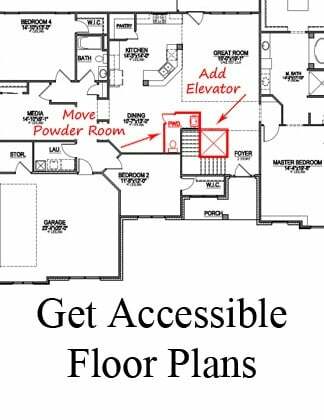 Search for these key features in online floor plan guides, or make a list of all your favorites from this list, and we'll show you what we can design and build just for you. 1. Minimize hallways. Get inspiration from floor plan designs that minimize wasted space by eliminating unnecessary hallways. Many craftsman style homes are considered open concept designs because they minimize hallways and maximize the functionality of each home space. For example, many craftsman homes add benches, open shelving, or storage nooks inside hallways to increase their usability. 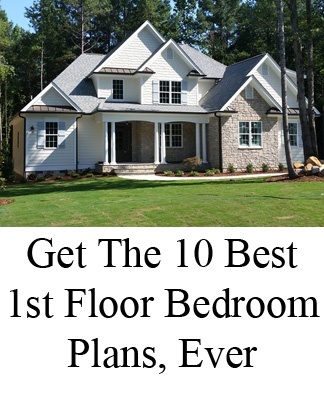 Click here for ten craftsman style home features - and learn common techniques for building an open concept craftsman home. 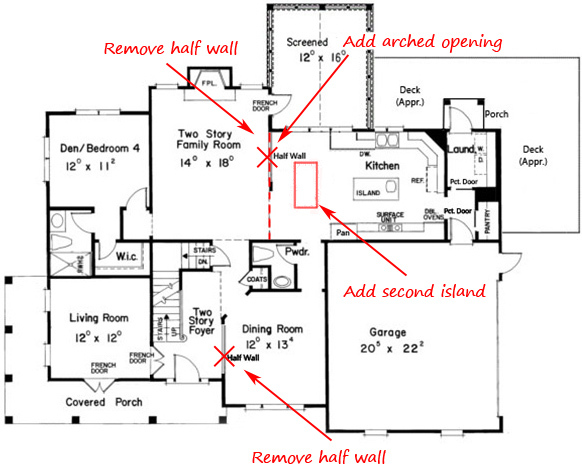 These changes - made to a Frank Betz floor plan concept - center on removing half walls and adding archways. The original floor plan already minimized hallways, limiting wasted space. 2. Orient rooms. The rooms you use most often should flow into each other. When designing an open concept floor plan, a key trick is to keep the kitchen open to the family room and breakfast nook. Take a look at the Treehouse kitchen, breakfast room, and family room layout: the island was moved closer to the breakfast room and rotated to face directly into the family room to maximize the open design (and keep the wall of windows in sight while working at the prep sink). As you browse floor plans, reference this guide to kitchen floor plan design - and learn more about how to read kitchen floor plans. If you prefer island kitchen designs, find out more about how to orient the room based on a kitchen work triangle. 3. Create focal points, with clear lines of sight. A fireplace is often the focal point of a room - and it should be visible from every angle to maximize the feeling of free-flow. For instance, in this version of the Remington, a three-sided glass fireplace was carefully placed in the master bedroom with clear lines of sight from the bedroom entry, sitting area, and bathroom. 4. Designate a center point. 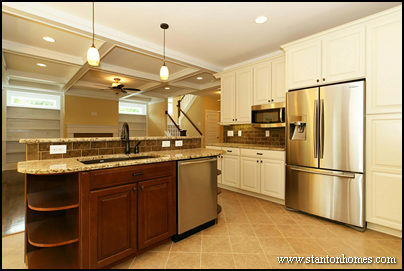 Plan your home around one room - most often the kitchen becomes the hub of the home - and focus on that space, first. 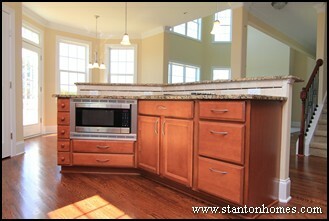 Inevitably, the kitchen island serves as a cooking bar, homework station, and conversation area. 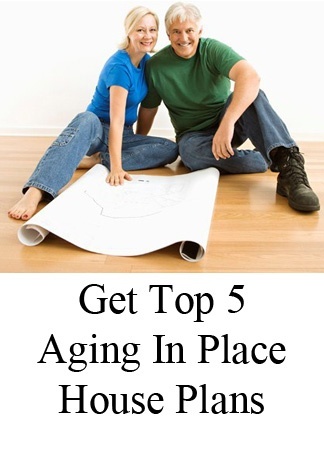 So take advantage of this space by including the most useful features to you. Tip: when choosing a central space to base your open concept floor plan on, brainstorm about what types of storage matter most to your lifestyle. Open shelving for cookbooks? Outward-facing cubbies for kid's homework? Glass-faced cabinets for displaying fine china? Built-in wine racks? An island can serve as a storage space for more than just pots, pans, and baking dishes. 5. Open upwards. Don't forget the possibilities that open up with ceiling design. Two story ceilings, arched openings, barrel vaults, ceiling vaults, and other specialty ceilings will draw the eye upward, even in smaller floor plans - making them feel much larger on the inside. Tip: varying the height of your ceilings will ALWAYS have a dramatic effect - making a home feel larger inside. 6. Add architectural details. Consider adding columns, rather than full walls, between rooms. The Summerlyn, a Frank Betz floor plan, and the Carwile, a Stanton Homes custom design, are two great example of what columns add to an open concept floor plan. 7. Include fewer formal spaces. And less separation of living areas. If you have a formal living room or formal dining room in your current home, how often do you use those rooms? If the answer is "hardly ever," you may want to eliminate these space in your new home. 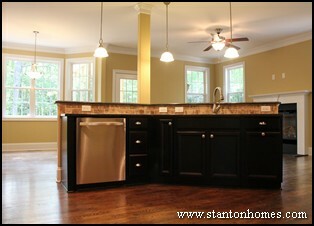 In this version of the Peay, the formal dining room is completely open to the kitchen. 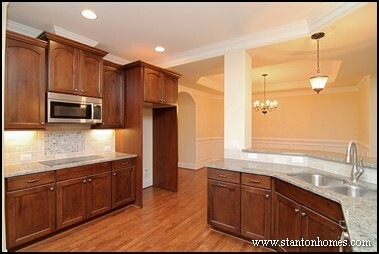 Wainscoting panneling keeps the area formal, whle minimized walls maintain the open concept. 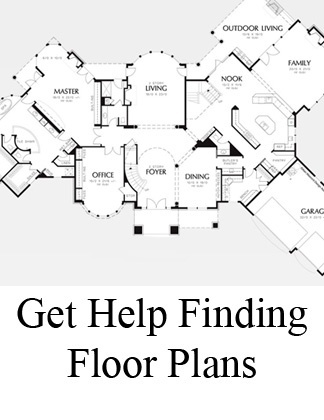 If you don't see a plan that meets your needs, let us know, and we'll help you find or design the perfect floor plan. 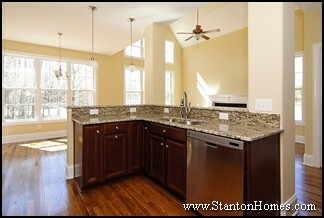 Stanton Homes is not limited by a set few homes – we can modify and build virtually any floor plan from any architect or online home plan source.